Taking a walk down memory lane — starting from a short local animated clip produced in the 1980s called Hikayat Sang Kancil dan Buaya to MOY Publications' Usop Sontorian, made in the 1990s, and then tuning into the latest series of Ejen Ali — one would be enthralled by how tremendously the local animation industry has grown and changed in the past three decades. According to a report by World Bank Group's Global Knowledge and Research Hub in Malaysia, the local creative content industry raked in revenue of RM7.9 billion from 2013 to 2017 while the animation sector for export reached RM132 million. Comparatively, the Asian animation industry was valued at US$52 billion in 2017 with most segments growing at up to 3% year on year. The report said there are more than 372 studios in Malaysia that are directly involved in various stages of development and production and are creating 11,150 jobs. 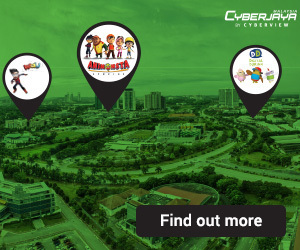 Some of the bestknown animation brands including Boboiboy, Ejen Ali and Didi & Friends are located in Cyberjaya. 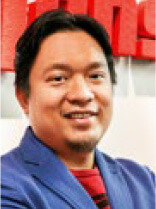 Cyberview Sdn Bhd managing director Mohd Najib Ibrahim says, "We are creating a place where they can showcase their products and let the public know that there is a career in the creative industry." Looking at how these brands have grown over the years, he believes the engine of the local creative industry is warming up. Cyberview began its journey as a landowner in Cyberjaya in 1996, and now has assumed the role of a tech hub enabler in the city. Najib said the fact that big corporates such as Astro Malaysia Holdings Bhd and Media Prima Bhd are involved with some of the studios in Cyberjaya goes a long way to show that the local market has more than warmed up to local animation brands. "I'd say Malaysians are firmly behind home-grown animation talent," he says. For original intellectual property (IP) producers, Najib says the target could be generating more revenue. "It shouldn't stop there [creating animation series]. Look at the downstream businesses that may come together with the IPs, such as merchandising, games and advertisements." Animation content developer Animonsta Studios Sdn Bhd is behind the production of Boboiboy while Wau Animation Sdn Bhd produces animation series Ejen Ali. Digital Durian Sdn Bhd is the maker of pre-schooler show Didi & Friends. These animation companies are already taking advantage of the entire value chain, extending their reach to downstream businesses such as apps and games, as well as merchandising. Together with Giggle Garage Animations, their YouTube channels have over four million subscribers and their IPs have successfully travelled to more than 100 countries. However, Najib admits that it could be challenging for an animation firm in the first few years as it takes a while for an IP to be developed and mature. Apart from that, he points out that getting talent is another challenge in the industry. Najib says innovation and entrepreneurship require a readily available foundation of talent. "In order to grow and develop the industry, partnerships and collaborations are essential to create a watertight talent supply to industry pipeline." "I believe that strategic partnerships between industry players, academia and organisations like us are needed to work towards the readiness of a young generation for a digital economy." What is more notable is the stiff competition from other more mature markets such as the US and Japan. "They are unique because they are able to bring something that is creative and in tune with their culture," Najib says. "If you look at these people (local animation studios) that have made it through, like Boboiboy, Didi & Friends and Ejen Ali ... they are actually unique to Malaysia and are intriguing for people outside of Malaysia." Ultimately, the hardest part for these startups is obtaining funding for their projects. Malaysia Digital Economy Corp (MDEC) vice president of creative content and technologies Hasnul Hadi Samsudin tells The Edge that government funding has been cut back, therefore the creative companies have fewer avenues to access funds. "Currently, other than grants from National Film Development Corp Malaysia and MDEC, creative companies may be able to apply for financial facilities offered by MyCreativeVentures," he says in an email reply. 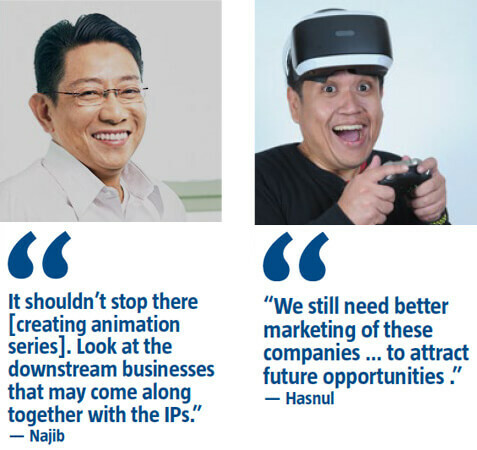 Citing examples such as Media Prima investing in Wau Animation's Ejen Ali and Astro's role in Digital Durian's Didi & Friends, Hasnul says broadcasters and distributors are now more open to providing funding to companies with promising animation IPs as the industry is becoming more mature. Hasnul notes that the local creative companies have worked on bigname projects and therefore have the technical capabilities to deliver. "However, we still need better marketing of these companies ... to attract opportunities." Concurring with Hasnul, Najib says the target should always be to produce the right products that can be commercialised outside of Malaysia. "We have the talent to take this industry to the next level." However, he stresses the need for animation studios to retain their uniqueness and not lose their original business model. As for prospects, MDEC's Hasnul says it will continue to focus on making Cyberjaya Malaysia's animation hub. "Our incubation and accelerator programme at MAC3 (MSC Malaysia Animation and Creative Content Centre) will continue with a renewed focus on enterprise development and community building." MDEC will also continue to hold its Kre8tif! Conference and Festival in Cyberjaya as it has continued to attract more foreign participation from buyers and conference participants, Hasnul explains. Krea8tif! Conference and Festival is an initiative to spark innovation and exploration of major trends across the creative sector. Meanwhile, through collaborations with MDEC and MAC3, Cyberview also provides the industry with an innovation ecosystem, including infrastructure, talent, incentives and a close knit community to work with. As for growth, Najib says, "It's difficult for us to gauge how far we can take this because technology moves so very rapidly. Perhaps in the next five years, there will be many changes in the industry." However, he believes that we are at a point where there is enough traction within the industry to position the animation industry as one of Cyberjaya's unique features and attractions. Najib says Cyberjaya is now in active talks with industry players on plans to create greater visibility around the city for the animation industry. "We would like for Cyberjaya to be associated with the bestknown animation gems from Malaysia, and for people to be able to come to Cyberjaya and get up close and personal with their favourite animation heroes and learn more about the industry and craft." He said there continues to be potential for creativity and global scalability, with local studios producing global award winning productions, local animated series featured in international television networks and Malaysian animated artists taking home an Oscar for their work. Najib said the current successes enjoyed by animation players in Cyberjaya prove that locals have the depth of creativity and talent to produce worldclass products. "What we would like to see is for more IPs to be produced here in Cyberjaya. Only through producing more IPs will Malaysia be able to win this long-term game." Animation content developer Animonsta Studios Sdn Bhd wants to produce five original intellectual properties (IPs) in the next five years. On top of that, says CEO Nizam Abdul Razak, Animonsta will also be taking more IPs from international partners and popularise them in Southeast Asia. The nine yearold company is the master licensee for Pokemon in Malaysia, taking care of digital, licensing, merchandising, event and TV placement. To fuel the exposure of the Pocket Monsters, Animonsta has worked with Cadbury, HSBC and Calciyum this year. Like many other content creators in Cyberjaya, Animonsta started from an incubator programme by MDEC at Cyberview Sdn Bhd's CoPlace 2. "In the programme ... you have a place to work at a very minimal rent ... It was RM50 per seat," Nizam says. It gave Animonsta access to original software and highend personal computers. "It made us focus on developing the products rather than worrying about rent." Nizam says the company has received from MDEC and Cyberview funding assistance, training, such as IP building, and market access. The pilot episodes of BoboiBoy in 2011 received good reviews from the public and, more importantly, big names like Disney Asia and Media Prima. "We managed to get RM1.9 million funding from MDEC to produce the first season of BoBoiBoy." "At first, the market was sceptical about local products. However, after the success of BoBoiBoy on TV, the demand for BoBoiBoy's products started to pour in." 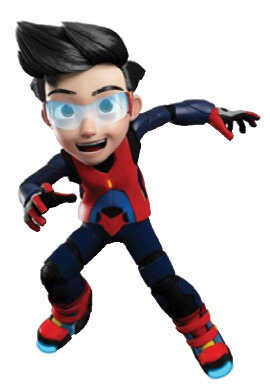 Now, BoBoiBoy is big on the ground, on air and on digital platforms. The series is currently being played in 60 countries and garners 3.3 million views per day. In fact, the animated series was not Nizam's first project. He was one of the pioneers who helped produce Upin & Ipin in its early days. His team was involved in Malaysia's first 3D animated feature film, Geng Pengembaraan Bermula. For now, Animonsta's production still very much revolves around BoBoiBoy. BoBoiBoy Galaxy and BoBoiBoy Movie 2 will be hitting the silver screens next year. Animonsta is also in the midst of producing new titles like Mechamato in collaboration with Japanese toy maker Bandai for Asian and Western markets. Local fans of 3D animated series Ejen Ali will have something to look forward to next year as Wau Animation Sdn Bhd is in the midst of producing a movie from the 26 episode animation series, which has been screened in 17 territories. still working on the story, it (entering production and animation stage) is like setting sail on a boat that is still being built," he says. "We're also working at a simultaneous launch in most of the Southeast Asian countries," he adds. The movie is a joint effort between Media Prima and Wau Animation, with the media company providing about half of the cost of production. Usamah says it is applying to Malaysia Digital Economy Corp (MDEC) for financial assistance "but we still need to go through the entire process. So, there's no telling how much or whether we'll be receiving any". In fact, Wau Animation was one of the animation studios born from MDEC's incubator programme MSC Malaysia Animation and Creative Content Centre (MAC3) located in Cyberview Sdn Bhd's CoPlace 2. "I think the government has done so much ... our neighbours such as Indonesia and Thailand, you don't get this kind of privilege and assistance from their governments." "To ask for more from MDEC ... I feel it has already done so much and I am so grateful," says Usamah. 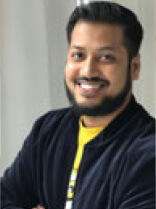 With Usamah at the helm — he has been in the industry for 12 years — and 81 employees, Wau Animation targets to launch more intellectual properties (IPs) and explore different platforms to build those products. 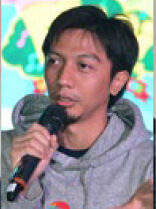 Like Animonsta's Nizam, Usamah was also one of the people behind Les Copaque's Upin & Ipin. The animation studio is currently working on a few new IP developments in collaboration with other studios. He said the business landscape is more conducive to operate an animation studio now. "It's not necessarily easier, but there are definitely numerous opportunities up for grabs." Animation series Didi & Friends creator Digital Durian — with its 100 strong workforce — wants to take its games and apps to the global stage. CEO and co-founder Sinan Ismail says its current focus is to make Didi & Friends and Omar & Hana global successes. Sinan says with the partnership with Astro Malaysia Holdings Bhd, Didi & Friends is on track to be one of the top 10 children's animation series by 2025. It is also planning to release Didi the Movie in 2020. "It is definitely a big ask but we are on track. YouTube, over the top and TV broadcast will be a big part of our strategy to reach that target. We are in the business of selling the IP rights, which means revenues are from multiple channels." Digital Durian's app, Didi & Friends Playtown, has garnered more than two million downloads to date. As for Omar & Hana, Digital Durian wants it to be the number one preschool Islamic IP in the world by 2025. Currently, it is dubbed in Malay, English and Arabic. To produce the two IPs, Sinan and cofounder Hairul Faizal Izwan obtained a RM50,000 grant from an Intellectual Property Creators' Challenge (IPCC) organised by Malaysian Digital Economy Corp (MDEC). In 2008, the duo started Didi & Friends in MDEC's MAC3 incubator. "They provided us the facilities at a very good rate ... And we are still in the Cyberview building because it is very convenient," says Sinan. He says MAC3 gives them training and workshops on scriptwriting and voice acting, and provides them with the chance to pitch to local and international broadcasters. When asked how it sets itself apart from its peers, Sinan says there are hundreds of thousands of children's cartoons out there. "We just need to keep creating good content, married with good branding and marketing." He also wants to double the workforce to about 200 in the next five years and aims to be the No 1 animation workplace in the world by 2025. "That means worldclass team players, worldclass office space and worldclass animation."